Local Artist to Stamford who paints prolifically in both oils and watercolour and can be seen on the streets of Stamford painting in all weathers. I retired from full time employment in 2012 and at last found the time to pursue the occupation that I love and now paint more or less full time. I moved to Stamford from South London in 2014 and have been inspired by my new surroundings spending many hours, brush in hand, painting the streets, buildings and people of this beautiful town and its surrounding villages. I also have a love for rural and coastal scenes and love to paint along the North Norfolk and Northumberland coasts when the opportunity presents itself. 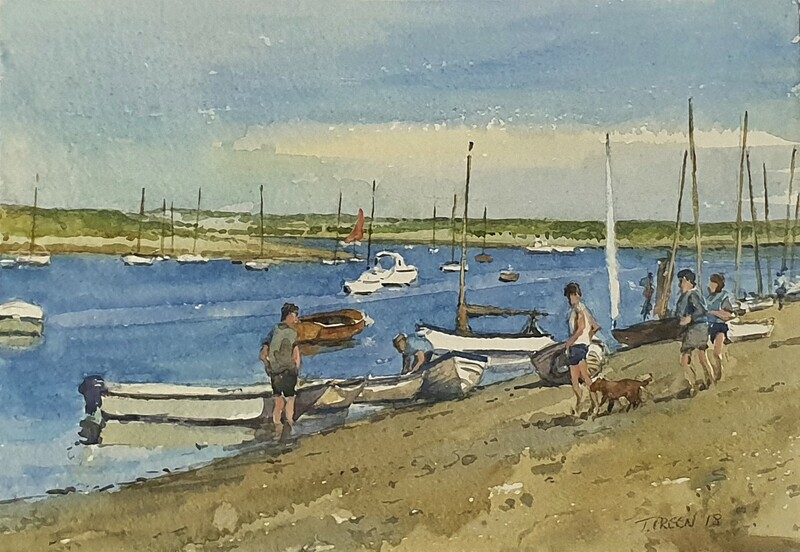 I work mainly in oils and watercolour and prefer to work in front of the subject, en plein-air, where possible rarely working from photographic reference. I am a member of the Brass Monkeys, a plein air painting group that meets regularly to paint in and around London regardless of the weather and an exhibiting member of the Welland Valley Art Society. Since moving to Stamford I have exhibited in the Gallery Stamford and Stamford Arts Centre, in former years I have exhibited in London and on the Isle of Wight.